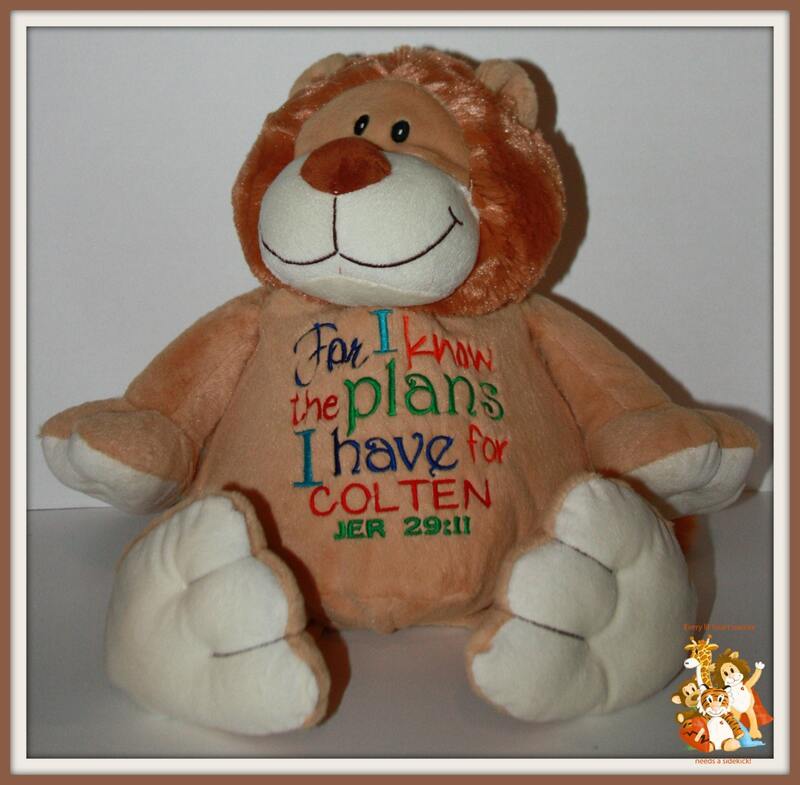 For I know the plans I have for you - Jeremiah 29:11 Can be embroidered on any of the animals I have in stock. 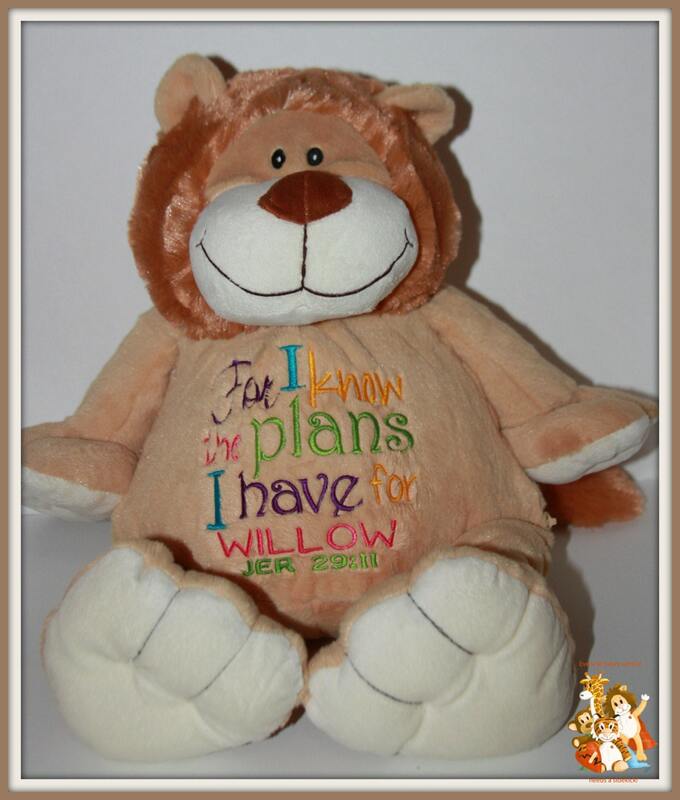 Approx size 16" When ordering please put the child's name and any colors you would like to have in the design. This item is just as pictured. It arrived in a timely manner, and was well packaged. We were contacted via email, prior to shipping, to confirm the inscription was as ordered. The product was received in great condition, and looks amazing. I’m anxiously awaiting the child to open this beautiful gift on CHRISTmas morning. God bless you!